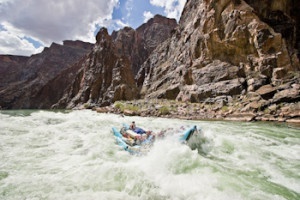 There’s No Better Way to See the Grand Canyon Than From the Front of a J-rig On The Colorado River. 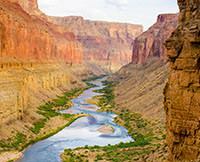 I have never been to the Grand Canyon before and I wouldn't want to see it any other way. The overall experience actually changed my whole outlook on life as a whole. The guides made me laugh countless times and I ate better than I do at home! What I loved most about river rafting was that moment that you look up after sucking rubber for a huge rapid and give a loud yell to the sky, you feel rejuvenated. It's the best feeling in the world. Also the community that is made in those short six days makes the trip so much better. New friends and a whole new family is made on the trip. From dawn to dusk, each day was jam packed with excitement and newness that I hope to never forget. I hope I can always have that cold water running through my veins.